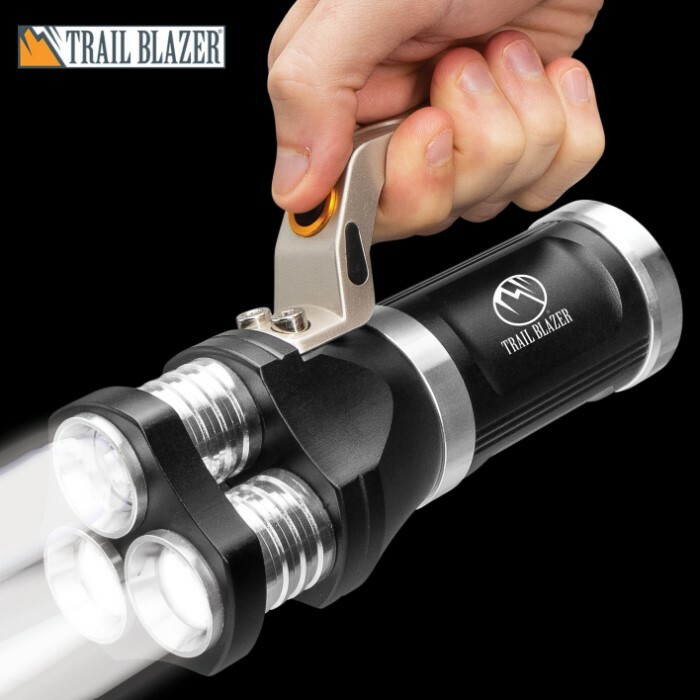 Our Trailblazer Flashlight With Super Bright White Lights gives you the versatility to shed light on different situations. 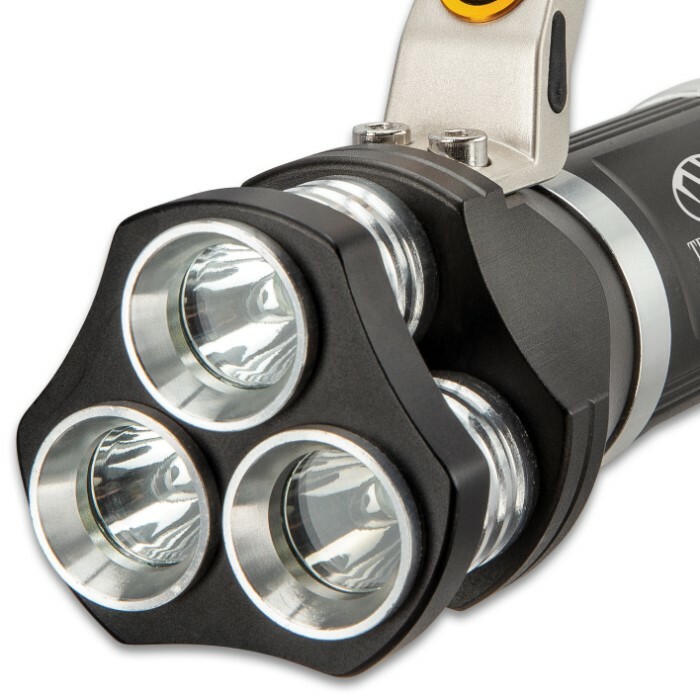 The super bright CREE lights put out 800 lumens and have lighting modes, which include an SOS signal. 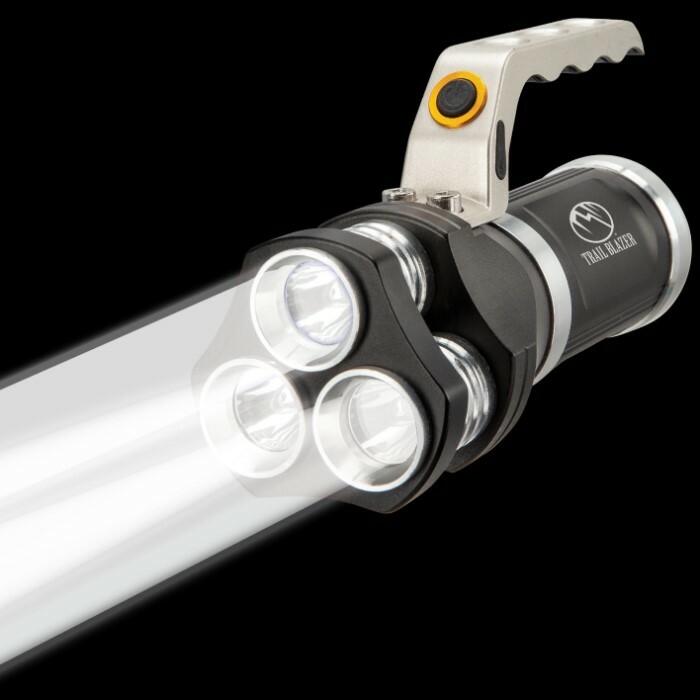 Use the bright white light for lighting the way along the trail at night and use the attention-getting SOS signal when you get into trouble. 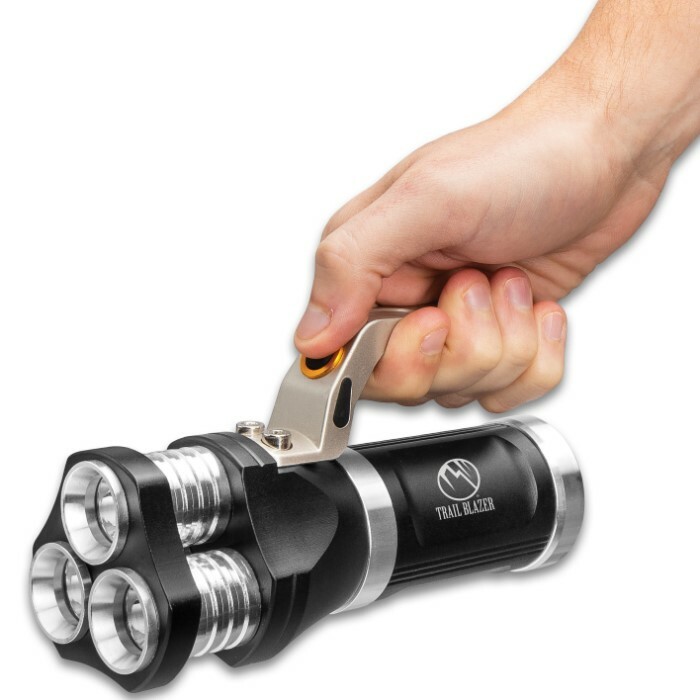 The portable lamp has a tough and water-resistant aluminum body and it can be mounted on a mini tri-pod (not included). 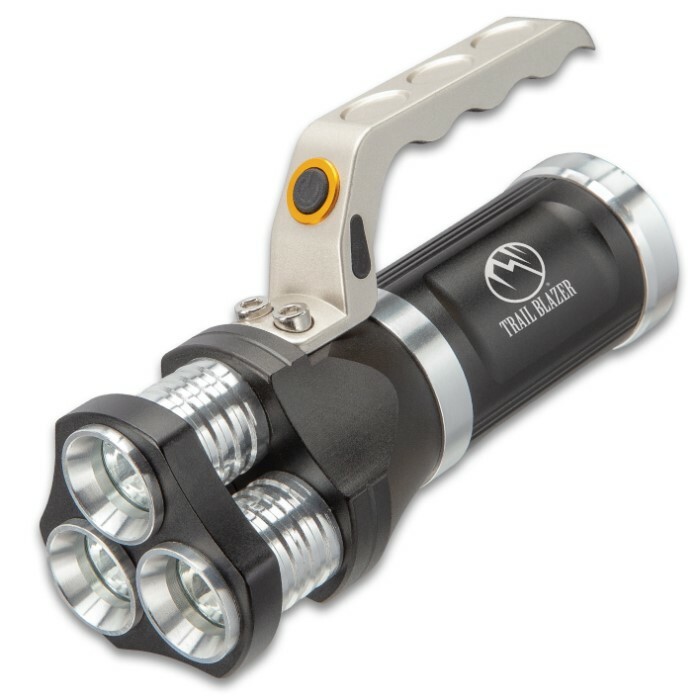 The flashlight is 6 1/2” in overall length and has a grippy raised handle, which has the on/off button conveniently placed.